"Learning to choose is hard. Learning to choose well is harder. And learning to choose well in a world of unlimited possibilities is harder still, perhaps too hard" (The Paradox of Choice: Why More Is Less by Barry Schwartz). 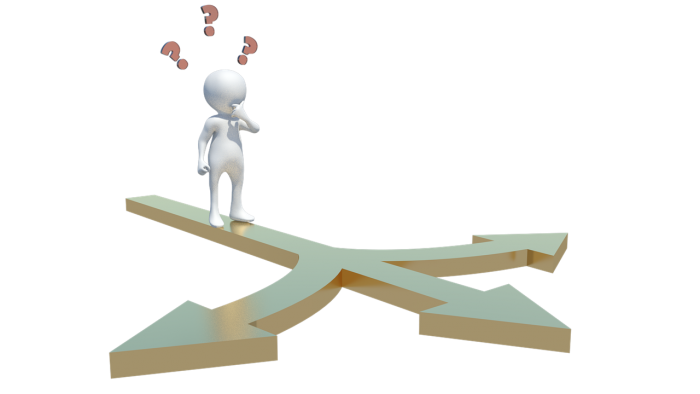 Research has shown that when someone is presented with a large number of opportunities, it is difficult to make a confident decision and the person is likely to be dissatisfied with his or her choice. This phenomenon is seen when people are faced with making career choice, as well. It's no wonder why so many people have difficulty deciding what type of work will fit them best. There are hundreds of possible careers from which to choose; the O*NET database, for example, lists over 900 jobs. The result can be ending up in work that is dissatisfying, leading them to feel unmotivated and disengaged from their job. A recent Gallup poll revealed that fewer than 32% of employees find themselves energized and engaged in their work. Early in life, college students often make career decisions based on academic subjects that they enjoyed in high school or college. For example, a student may have excelled in math and science classes and chosen to major in engineering. Enjoying and doing well academically in these classes, however, does not mean that the student would be well-suited for or enjoy being an engineer. Research shows that the majority of college students know very little about the career fields related to the college major they have chosen, and may not enjoy jobs that relate to their major once they graduate. In our career counseling practice, adult workers often describe to us how they really didn't make a career decision, but instead just "fell into a career." This occurs when a job seeker chooses whatever job was the easiest to obtain or when a job has been offered from a friend or family member. It is easy to understand how this happens, especially when the individual isn't clear on what type of career would fit him or her best. It is no wonder that a study found that 4 out of 5 workers are not in the right job for their gifts and abilities. Making good career decisions in a world of limitless options is dependent on having the right information about your unique design and about the world of work. Knowledge about your design means identifying and deepening your understanding of your skills, compelling interests, abilities, values, personality traits, preferred roles and the needs that you are motivated to help meet. The right information about the world of work involves identifying the career fields that relate to your skills and interests, the type of work environments that fit you best, the industries or fields that you would enjoy, and types of people with whom you would enjoy working and serving. Understanding your design and the world of work takes time. The alternative, however, is trying to make a difficult choice from what can feel like too many possibilities and ending up in an unsatisfying career. Resources including Live Your Calling, professional career testing and career counseling from National Certified Career Counselors can help you help you to obtain this vital information and make a confident choice from countless career alternatives. If you are interested in career testing and counseling services from the Christian Career Center, please complete the Career Services Consultation Form.